DURHAM, NC--(Marketwired - October 12, 2015) - Faster, simpler deployment means your IT administrators can devote more energy to other important datacenter projects. 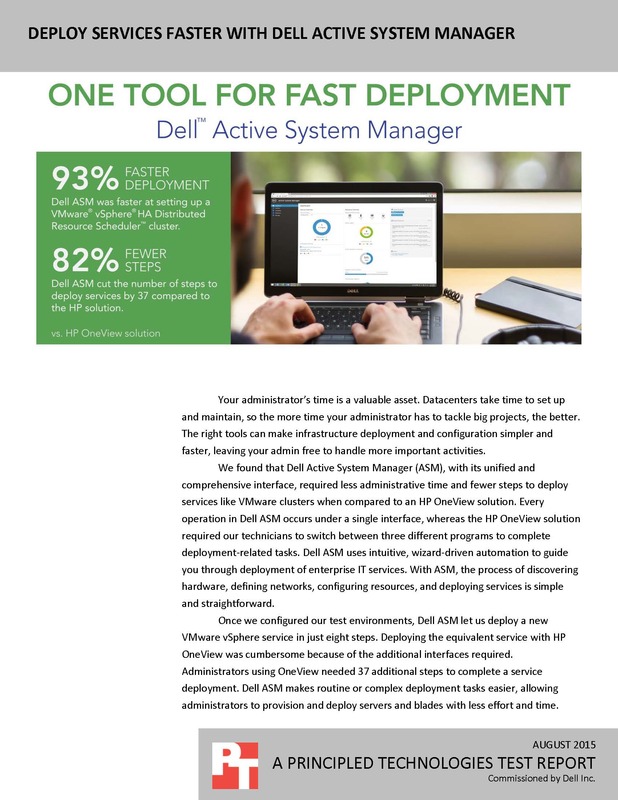 Principled Technologies (PT) evaluated the speed and simplicity of service deployment with Dell Active System Manager (ASM) and an HP OneView solution. 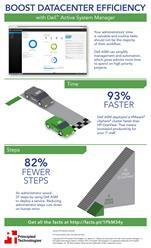 PT found that Dell ASM was faster and took far fewer steps to deploy services than the HP OneView solution. To learn more about Dell Active System Manager, read the report at facts.pt/1PkM34y and see the infographic at facts.pt/1WO8j42. Don't tie your IT administrators down with routine management tasks. Dell Active System Manager could save your IT administrators time and effort.